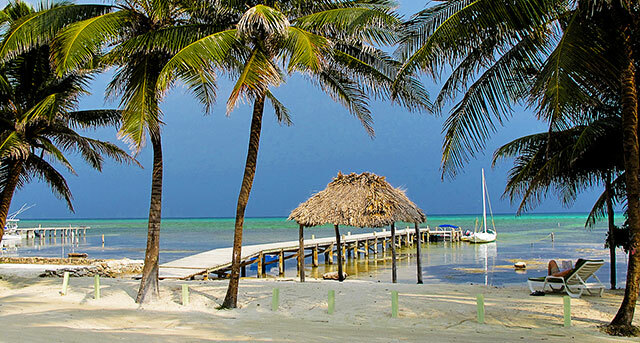 Ambergris Caye, Belize, October 22, 2016	(Newswire.com) - ​​Are you looking for a new place to buy for a summer vacation? Well, you just come to the right place. Coldwell Banker Ambergris Caye announces their newest property for sale. In fact, this is just 1 mile away from the famous tourist destination Ambergris Caye. In addition, this property is 4 miles away from the Blackadore Caye Island of Leonardo Di Caprio. This 25-acre island for sale is 8 miles away from San Pedro Airport which is set at a price of $1,890,000 USD. What are the excellent features of this fantastic island? According to Coldwell Banker, this island has 1.5 miles of waterfront. What makes it special to buy? Well, its waterfront is just a few miles from Blackadore Caye. For some tourists who are getting curious about Blackadore Caye, it is one of the famous islands in Belize. It was purchased by Leonardo Di Caprio back in 2005. As of now, it is a developing island where everything is very organic and green. Hence, this island for sale is a must buy island. It will only be a perfect spot to build a great resort for a vacation get away. It will also boost its popularity as it is close to other famous islands in Belize. With its pure white sand beach and firm Limestone base as an inspiring view, all eyes will be on this island soon. Besides, it is very close to the number 1 tourist destinations in Belize which is San Pedro Town. The amazing barrier reef in Belize can be easily seen and visited by tourists through the a variety of resorts and vacation homes. In fact, this is just 2 miles away from the East side of the Ambergris Caye Island. If you are looking for private and serene white sand beaches, it’s not a problem on this island. Mature Royal Palm trees surround this island. These trees keep everything around it protected from too much sunlight together with other tropical plants. For a pile free and easy construction in the future, 1-10 feet of coral stone bedrock is just close by the island’s surface. In the case of upcoming storms, it will not be a major problem on the island of Ambergris Caye in the East can cover it up. An easy access to transportation is ensured from its clear turquoise water through the town of San Pedro. This island is totally on the must buy list of many investors. As a matter of fact, the CEO and owner of Texas-based Rap-a-Lot Records just bought a 2-acre island 1 mile away from it. The recently bought island is now being enhanced and built with a villa. Take note, big names like Harrison Ford, Tiger Woods, and Bill Gates already visited this area while they were staying at Caye Espanto Hotel. They visited its immaculate beaches to have a picnic. Ambergris Caye announces that interested buyers must grab their last chance to buy this island before its price leaps higher. Once the Blackadore Caye project is done, its price will be set to $2.5 million.